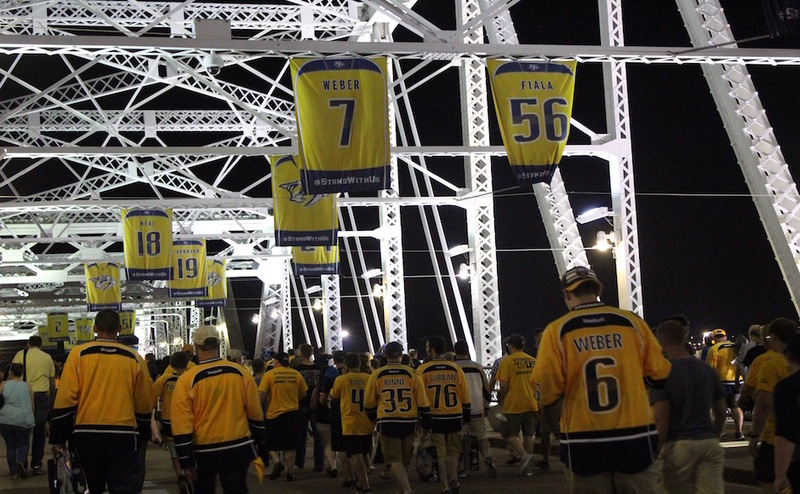 The Nashville Predators returned to the Music City Sunday to play Game 3 of the Stanley Cup Playoffs on home ice. After falling in Game 2 in St. Louis, the Preds bounced back and won 3-1. The first goal of the game came from the snap of Predators’ Ryan Ellis at the 10:34 mark of the first period. Ellis was assisted by Filip Forsberg and P.K. Subban. No other goals were scored during this period, but more than a few penalties were drawn. Five total minor penalties were committed, two against Nashville and three against St. Louis. To start the second period, Cody McLeod of the Predators’ netted the second goal of the night with a tip-in from a rebound behind the Blues’ net. McLeod was assisted by Colton Sissons and Mattias Ekholm. 10 minutes and 30 seconds later, Alexander Steen of St. Louis recorded the first goal of the game for the Blues. Steen was assisted by Alex Pietrangelo and Vladimir Sobotka. Going into the third period, the Predators were looking to have a two-goal margin again. At the 14:11 mark, Roman Josi made that happen. 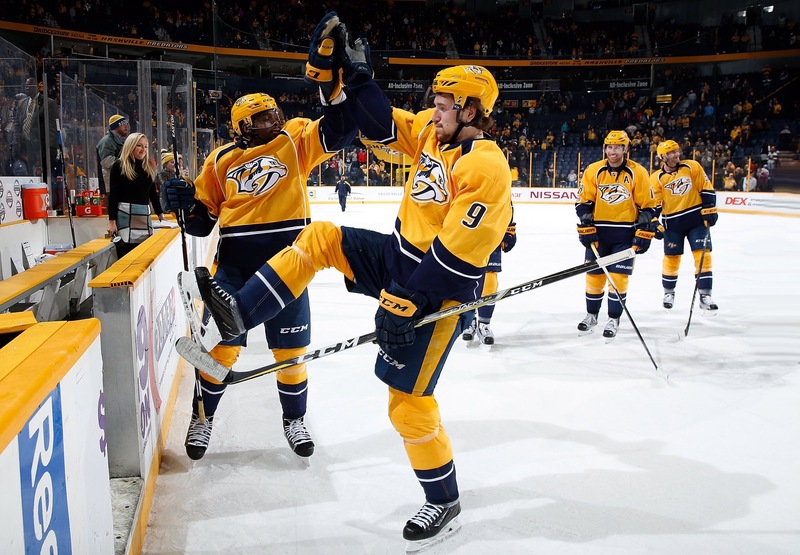 Josi scored the final goal of the game assisted by Colton Sissons and Harry Zolnierczyk. All postseason long, Smashville has been entertained by top country artists to sing the Star Spangled Banner. This game was no different, as Grammy Award-winning band Little Big Town performed. 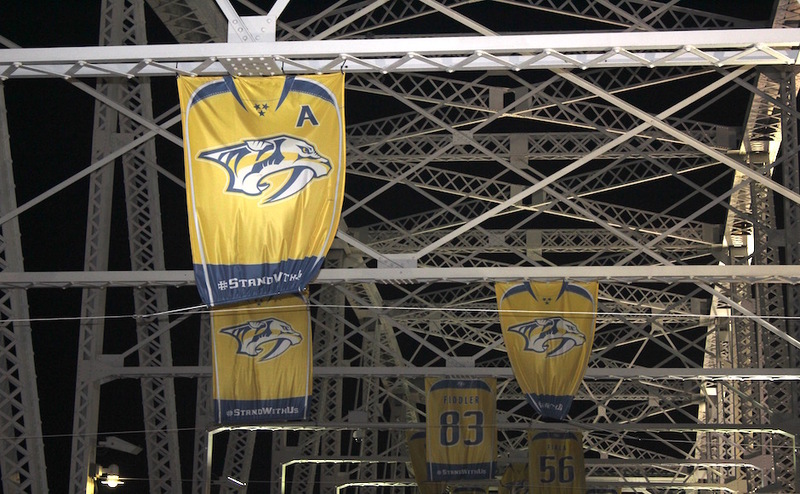 Per tradition during the playoffs, a Nashville legend will wave the gold rally towel following the National Anthem. Titans running back Demarco Murray was given this honor on Sunday. Also in attendance was starting quarterback for the Dallas Cowboys, Dak Prescott. The Louisiana native spoke at local Middle Tennessee Christian School on Saturday night for a fundraiser dinner, explaining his appearance. 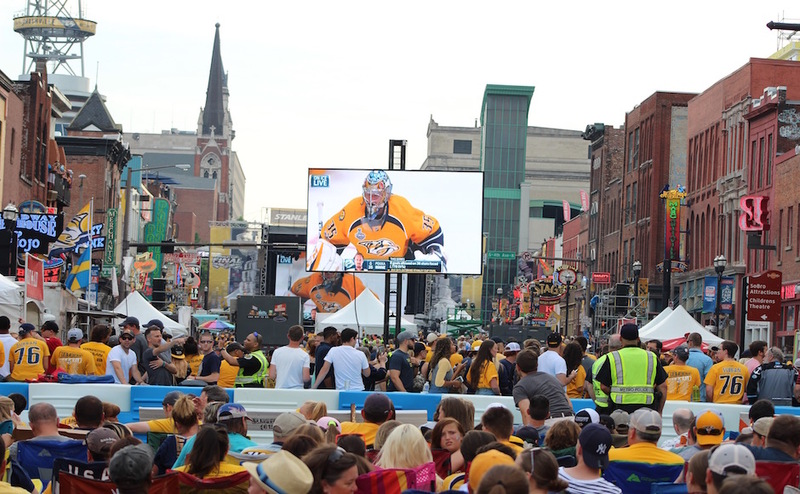 With a 2-1 series lead, the Predators look forward to Game 4 which will take place at Bridgestone Arena in Nashville on Tuesday, May 2 at 8:30 p.m. CST. The Predators are rolling at home and are now 7-0 in their last home playoff games.